Newcomer Family Obituaries - Steve Ira Cottrill 1960 - 2019 - Newcomer Cremations, Funerals & Receptions. 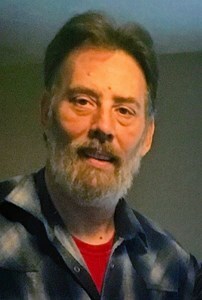 Steve Ira Cottrill, age 58, passed away Saturday February 2, 2019. Steve is predeceased by his mother, Wanda Joyce Cottrill. He is survived by his loving wife of 30 years, Jana Cottrill, father, James Ira Cottrill, brother, Brian James( Judy) Cottrill, children: James "Jamie" Cottrill Murphy and Heather (Jack Serksnis) Cottrill, grandchildren, Sebastian Michael and Nica Rayne Cottrill, as well as many loving extended family and friends. Friends and family may visit Saturday February 9, 2019 from 3 pm - 5 pm with a funeral service to directly follow at 5 pm at Newcomer Southwest Chapel, 3393 Broadway, Grove City Ohio. Burial will take place Monday February 11, 2019 at 11 am at Cedar Hill Cemetery, Brownsville Ohio. Add your memories to the guest book of Steve Cottrill.